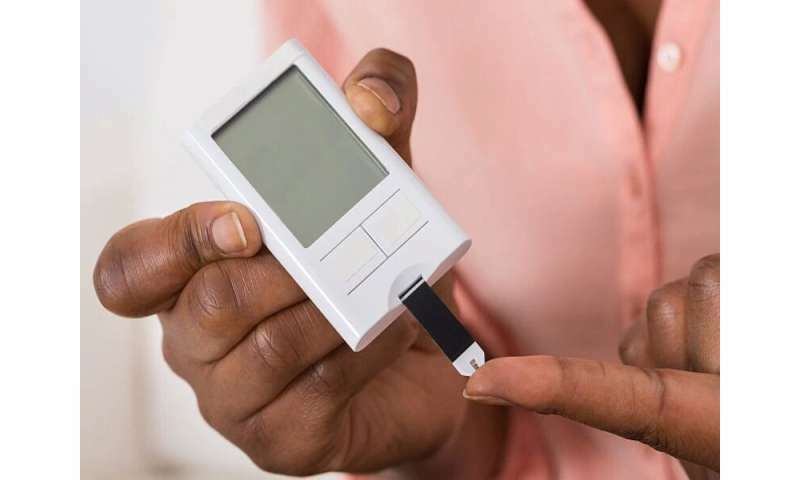 (HealthDay)—Ertugliflozin appears safe and effective at improving long-term glycemic control among adults with type 2 diabetes mellitus (T2DM) inadequately controlled on metformin, according to a study published online Jan. 7 in Diabetes, Obesity and Metabolism. Silvina Gallo, M.D., from Pfizer Deutschland in Germany, and colleagues conducted a 104-week double-blind study to evaluate the long-term efficacy and safety of ertugliflozin in adults with T2DM inadequately controlled on metformin monotherapy. The study involved a 26-week placebo-controlled period (Phase A) and a 78-week period (Phase B) during which blinded glimepiride was added to nonrescued placebo participants with fasting fingerstick glucose ≥6.1 mmol/L. Overall, 621 participants were enrolled in the trial and 581 participants entered Phase B, in which they received at least one dose of the study medication. The researchers found that the mean change in HbA1c from baseline with ertugliflozin 5 and 15 mg, respectively, was −0.7 and −1 percent at week 52 and −0.6 and −0.9 percent at week 104. At week 52, 34.8 and 36.6 percent of participants had HbA1c <7 percent with doses of 5 and 15 mg, respectively, and 24.6 and 33.7 percent met this outcome at week 104. During the study period, ertugliflozin reduced fasting plasma glucose, body weight, and systolic blood pressure (SBP). The incidence of female genital mycotic infections was higher with ertugliflozin. Symptomatic hypoglycemia was lower for ertugliflozin compared with placebo/glimepiride. Bone mineral density (BMD) changes were similar to those with placebo/glimepiride except for total hip, where the reduction in BMD was greater with ertugliflozin 15 mg versus placebo/glimepiride. "In patients with T2DM and inadequate glycemic control on metformin monotherapy, adding treatment with ertugliflozin 15 mg and 5 mg provided clinically meaningful and durable improvements in glycemic control, body weight, and SBP over 104 weeks," the authors write. All authors disclosed financial ties to pharmaceutical companies, including Merck and Pfizer, which manufacture ertugliflozin and funded the study.